At John Carroll University, it’s about you. Not just knowing your name, but knowing your passions and goals, and aligning you with the best resources to meet them. We are committed to you—nurturing your curiosity, stimulating your intellect, and further developing your character. JCU is a Jesuit Catholic university dedicated to developing women and men with the knowledge and character to lead and serve. 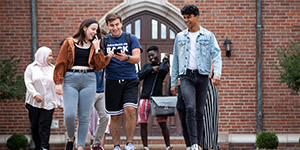 Founded in 1886, we are one of 28 Jesuit universities in the United States and have been listed in U.S. News & World Report’s top 10 rankings of Midwest universities for nearly 30 consecutive years. Like most universities, John Carroll will help you develop the skills that employers and graduate schools want. You’ll learn to communicate effectively, understand and interpret data, solve complex problems in diverse settings, and work collaboratively with others. But a liberal arts education built on hundreds of years of Jesuit educational excellence will give you so much more than that. At John Carroll University, we focus on the whole person—mind, body, and spirit. This is reflected in our four University Learning Goals: we strive to develop intellect, character, leadership, and service in all that we do, both inside and outside of the classroom. Intellect. Training on specific skills for a specific job is not enough to build a career. At JCU, we help you solve problems by asking the right questions and analyzing multiple perspectives in order to navigate the complexities of a global and ever-changing world. Character. We will challenge you to think and act ethically, to consider the impact of your choices beyond yourself. Leadership. Through service, internships, research, athletics, and countless opportunities on and off campus, you’ll develop the skills, instinct, and empathy needed to not only achieve your goals but to inspire others. Service. We’re a Jesuit university; service is a given. 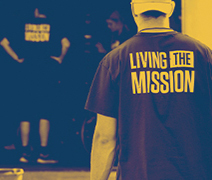 Through service, we help the community by knowing and serving individuals. It’s personal. It’s meaningful. And it improves the lives of the people we serve and our students. Grounded in the Jesuit Catholic tradition, our office of Campus Ministry serves persons of all faiths by inspiring a faith that does justice. There are so many ways you can engage in Campus Ministry activities—and it’s important to know that you don’t need to be religious to do so. We offer small faith communities of six to 12 students that meet weekly to talk about faith and college life, as well as numerous retreat opportunities to reflect, relax, have fun, form new friendships, and strengthen your spirituality. You will find every opportunity to continue with activities that interest you while also being able to branch out and try new things. 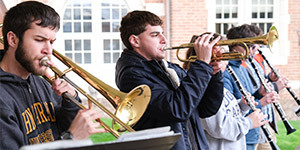 Our campus is home to more than 90 recognized student organizations, including national fraternities and sororities, service groups, cultural clubs, musical and other fine arts ensembles, religious organizations, major-specific societies, and much more. Student-athletes learn, develop, and improve through a competitive, championship-winning NCAA Division III athletic experience on our 23 varsity teams. The men’s basketball, men’s lacrosse, men’s and women’s swimming & diving, and men’s and women’s tennis teams all won a conference regular season or tournament championship this past season. Our campus is just 10 miles from Downtown Cleveland, allowing you to enjoy all the benefits of a suburban neighborhood near one of America’s most re-energized cities. Our location opens numerous doors: research at the Cleveland Clinic or other local hospitals, internships at Fortune 500 companies, student teaching in a diverse range of schools, and numerous graduate and professional school options, among others. You’ll also be able to experience some of the world’s best food, culture, and entertainment. With more than 40,000 alumni around the world, 18 alumni chapters throughout the United States, and 500 Northeast Ohio companies owned or operated by JCU alumni, our alumni network is strong. Graduates are always willing to help current students through mentoring, networking, or helping land an internship or job.